Are you looking to build long-term wealth, but are so new to the world of investing that you don't know where to begin? If so, I've got great news for you. That's why index funds are one of the best long-term wealth-building tools ever made. So let's dig in to see exactly what they are, and — more importantly — how they save you money and make you money all at once. But before we go further, let me explain some terms. In a nutshell, mutual funds are a basket of different kinds of investments. And the most common investments are stocks and bonds. For instance, one mutual fund could be made up of a few hundred stocks. Another could be made up of a few hundred bonds. This large amount of stocks or bonds is a good thing because it protects you. If a few stocks or bonds don't perform well, then there are still hundreds of others to help pick up the slack. Actively managed funds are run by managers who try — note the keyword try — to beat the market's return. So if the stock market goes up 8% one year, this manager will try to pick certain stocks so that you'll earn more than 8%. OK, now that I've explained that, let's go back to the topic of saving you more money. First, it's important to know that all mutual funds come with a cost. The difference, however, lies in the amount. Actively managed funds charge more for the "potential" for higher returns that I mentioned above. In some cases, a lot more. According to a report from the Investment Company Institute (PDF), the average actively managed fund costs 0.92% a year. This means that for every $1,000 your investment is worth, you'll pay $9.20. With index funds, however, you'll pay much less. The average index fund costs 0.13% a year. So for every $1,000 your investment is worth, you'll pay just $1.30. Now, this $7.90 difference may not seem like a big deal, but that's because we just started with a small amount as an example. To build real wealth, you need to invest often. Let's say you invest $5,000 every year for the next 20 years. Also, let's assume that both the actively managed and index funds grow by 8% per year (although I'll show you later that this isn't a fair assumption). What would you do with an extra $23,000? Or here's another way to put it — how much would it hurt to lose $23,000? This extra money that you'd make with an index fund comes from one thing, and one thing only — the cost savings. So one way that index funds both save you more money and make you more money — at the same time — is by the simple fact that they cost much less. But that's not the end of the story. There's another way index funds make you more money, and that's from the poor performance of most actively managed funds. A study from the S&P Dow Jones Indices found that during the past three years, over 86% of large-cap funds failed to beat their benchmark index, the S&P 500 index. While the actively managed funds provided just under 9% growth, the S&P 500 index grew by over 10% during this time. This means that if you invested in the S&P 500 (through an index fund, of course) during this time, you would've made more money than 86% of all other related funds. If you'd like to see how I'm using index funds to build wealth, and how you can do it too, check out the Core Four Portfolio. 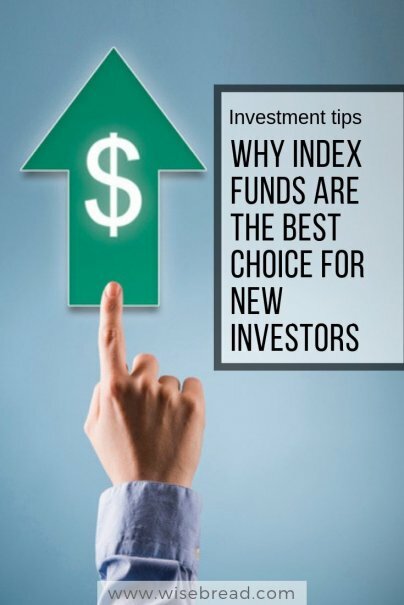 Do you invest in an actively managed fund or an index fund? I use a mix of index and actively managed funds. I do like index funds due to their simplicity, and ability to beat most active funds. However, I do feel you can find some solid active funds that have low costs and can match or beat the market. Overall, this is a very good article. Thanks for chiming in Robert. Good luck with your active funds.